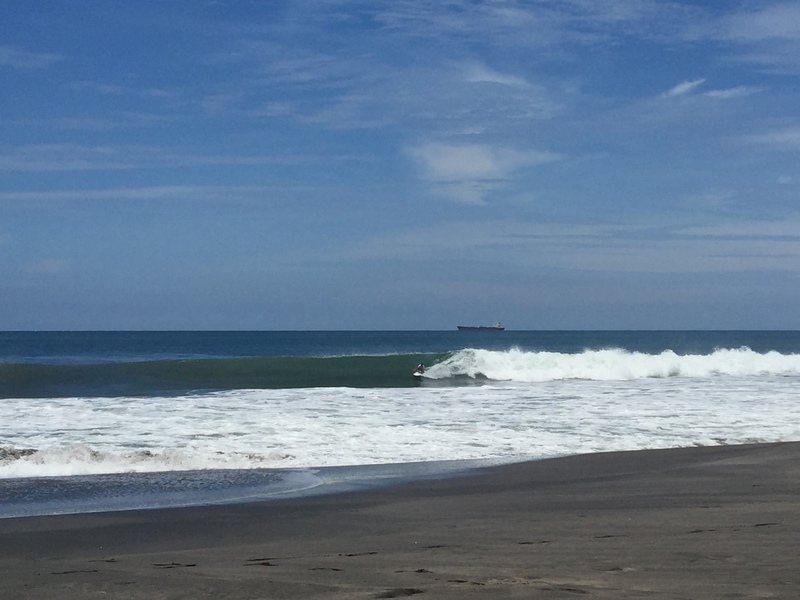 In search of quieter waves than those in Popoyo and surrounding Rivas region, we’d read about the little surf town of Las Peñitas, 210km north and 20 minutes from the university town of León. The drive unfortunately doesn’t track the coast, but instead heads back to Managua along the famous Pan American Highway (route 1), climbing up and over a volcanic region providing expansive sites over Lake Nicaragua and Volcán Concepción before joining Route 12 to León. The main roads are in extremely good condition, often better than those in the UK; as long as you stick to the main roads that is. Route 62 for example is not so forgiving – we should have driven to Rivas from Popoyo but instead “enjoyed” a bone shaking hour on this dirt track. With single carriageways the norm and Route 1 connecting the Americas, you can expect to be held up by the large American-style trucks making their way across the country as well as cows grazing and the local community walking/cycling. The estimated 4 hour drive took us more like 5h30 without a lunch stop (because we couldn’t find anywhere!). 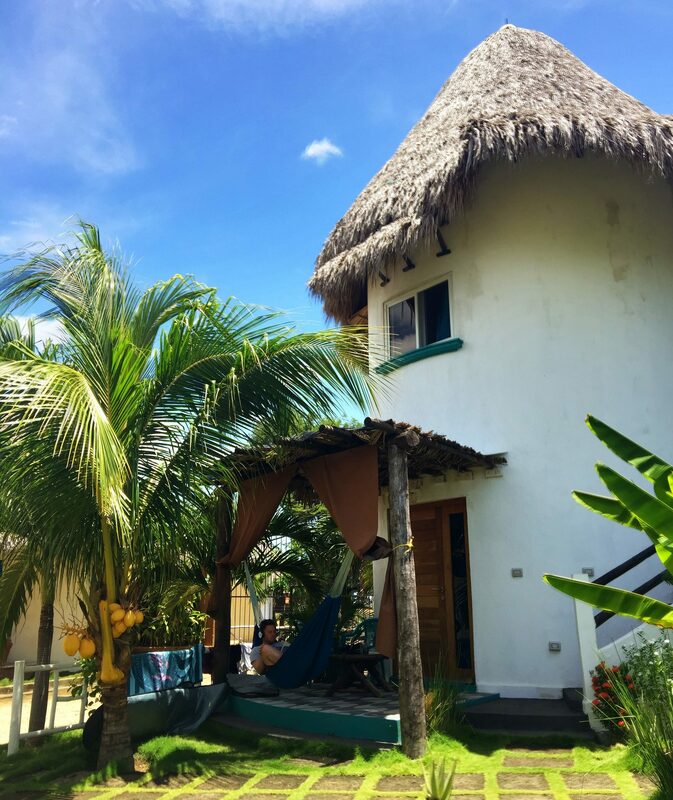 Las Peñitas is an ‘up and coming’ beach-side town with traditional fishing village. The 2.6km road reminded us a lot of Arugam Bay in Sri Lanka for the number of hostels and cheap hotels that have been developed with little thought for how people can otherwise access the beach. And of course, with the concentrated number of hostels and easy access from hot and humid León, Las Peñitas is popular with back-packers. We stayed at Nayal Lodge, a new B&B run by Spanish couple Catalina and Jose. Traditional ‘windmill’ style huts, the B&B has 3 or soon to be 4 rooms on the opposite side of the road to the beach. They provide ample space with fantastic aircon, wifi and chill-out space. Plus, the homemade breakfast delivered to your door is a good reason for a lazy morning. They’re also in the process of building a restaurant and bar and a much-required swimming pool. There’s also good, if not spectacular, surfing here, with smallish regular waves that are perfect for beginners. There is not spectacular surfing here. The small “point break” at the eastern end of the beach is more Bournemouth than it is Newquay. Which is a shame. So, if you’re looking to add this to your itinerary with a focus on surfing I’d highly recommend considering elsewhere (see Miramar below). 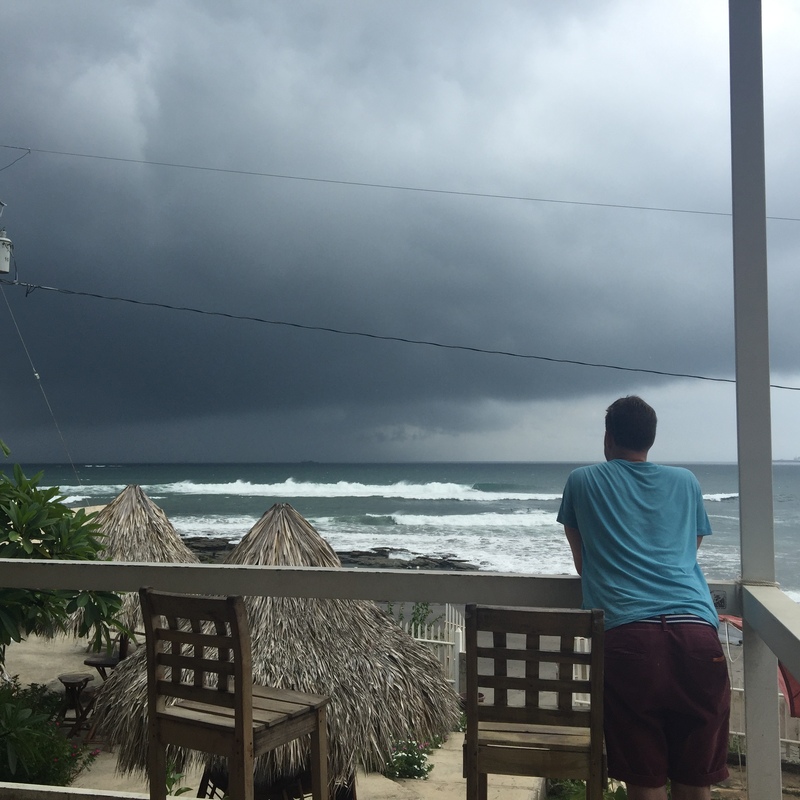 The bad surf coupled with heavy torrential rains from 3pm until morning also added to our disappointment. We were surprised how different the weather could be 200k up the coast (although we’d been ready for showers given it’s the rainy season). Las Peñitas just didn’t live up to our expectations. Rather than spend another 3 hours in the car tracking further north to Aposentillo as we’d originally planned, we cut our stay short by a night, changed our itinerary and headed back to Popoyo for another 5 nights. There is however, still plenty to do and see from here with again many of the hotels offering excursions including Volcano Boarding (for the hard-core extremists) and Juan Venado Island Nature Reserve. Simple Beach Lodge – there was a morning we woke too late to request breakfast and thought we’d check out Simple Beach Lodge. With view of the “point break” from the cafe and chill-out area they offer a simple but good menu at a great price. 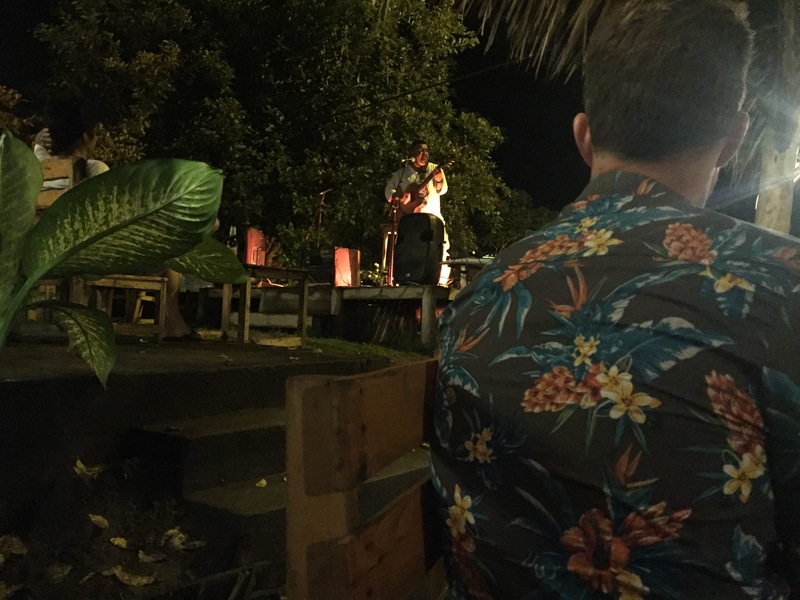 Sua Grill&Chill – just behind Simple Beach Lodge on the opposite side of the road, Grill and Chill is clearly the place to hang out in the evening. Live music and a DJ who spins sets atop an NSP. The kebabs and plantain chips were delicious too. Plus their Nica Libre’s are only 60C$; about 30p…! Costa Maya Beach Club Boutique – This club and restaurant is opposite Nayal Lodge with great views over the beach from it’s restaurant. It blasts out loud music throughout the day aiming to lure the tourists in and popular with locals. Unfortunately, we both had bad stomach’s after eating lunch here. The second largest city after Managua, León is a popular university town. In fact, on the rainy Sunday we decided to visit, we were treated to students graduating outside the grand white building of the 2nd oldest university in Central America. Founded in 1524, León is seeped in history; the original city León Viejo abandoned in 1610 after a series of earthquakes and a volcanic eruption. Today, the small city of León is a sprawling industrial, agricultural, and commercial centre for Nicaragua. 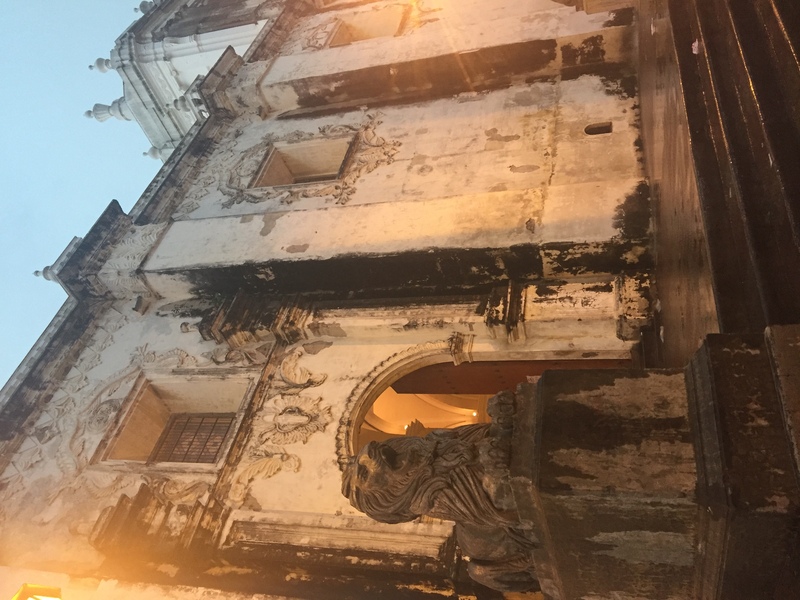 The main hub surrounds the 17 / 18th century Cathedral adorned with Lions. It has survived earthquakes, volcanic eruptions and bombings during the civil wars by conservative forces in 1824 and during the revolution of 1979. In the day, and if the skies aren’t cursing, a $2 fee allows you access the roof for panoramic views. 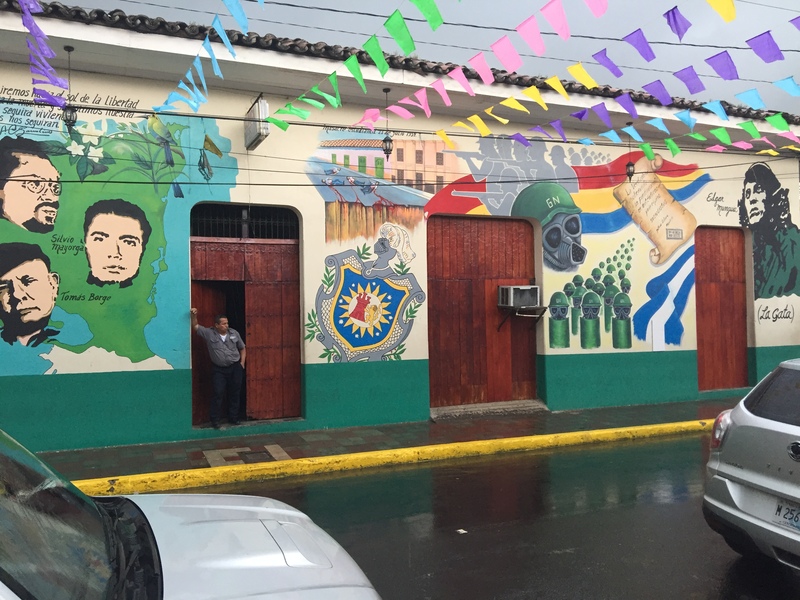 Now a much more peaceful country, the streets of León are adorned in street art and statues depicting the Sandinista revolution. ‘FSLN‘ flags fly from buildings, representing support for the Sandinista National Liberation Front, a democratic socialist party. More can be learnt about the revolution in the Galería de Héroes y Mártires, run by mothers of FSLN veterans and fallen heroes and the Museo de la Revolución. With much disappointment, due to the monsoon type rains we were caught in, the revolution museum shut early the day we visited. As much as we tried (in our pigeon Spanish) to persuade the doorman of the ex-dictator’s Palace of Communications to let us in, he insisted we come back the following day when we will already have left again for Popoyo. Although a city, León can easily be explored on foot in an afternoon, stopping to rest in the Cathedral square to people watch with something to eat. Museo de Leyendas y Tradiciones (Myths and Legends): Once an infamous jail where many were tortured, the prison cells depict Nicaraguan traditions and legends through puppet illustration. Museo Rubén Darío: Visit the home of Nicaragua’s most famous poet, Rubén Dario. Flor de Cana Tour: If you love rum, no doubt you’ll love this place. Flor de Caña is Nicaragua’s super premium rum and the country’s #1 exported brand. 30 minutes from Leon it’s easily accessible. Maybe get a taxi if you really want to enjoy it though! An hour into our journey on our way back from Las Peñitas to Popoyo, we took a slight de-tour to check out Punta Miramar, rumoured to be a great surf spot. Off the beaten track, the little fishing village (overlooked by the power station to the north), Miramar was the quietest spot we found on our trip. With only 3 surf camps/ hostels to stay in, the long stretch of beach is pretty much untouched. And with points and beach breaks to chose from I can’t imagine you’d get bored here. Driving down to the beach we were greeted with empty hollow 4-5ft waves. We soon discovered that the few bodies in the water had in fact got a taxi (3h drive) from Popoyo for the day, where the swell was too big to enjoy. Which makes sense as Punta Miramar works best with a big southern swell. Post surf (although I safely sat this one out), we enjoyed some of the best taco’s we’d had on the trip at the only stand alone bar/restaurant, Bar 8. The pool table was also a saving grace from the storm that pushed in from the Pacific and a welcome break before hitting the road again. Miramar Surf Camp – although we didn’t have a chance to stay here, the set up on the beach and skipping distance to the surf looked great and somewhere we’d consider in future. Over two large complexes the camp has a mix of 13 private and dorm rooms. A double AC room with breakfast and pool starts from $35pn. Surf packages are also available. We didn’t get the chance to explore this area in detail, but based on how good Punta Miramar is, we can only presume what we read about the other breaks to be true too. Puerto Sandino: Just north of Miramar, Puerto Sandino is an obvious port-town for it’s oil refinery. Requiring big swell, Puerto’s port-wave isn’t always working and only accessible by boat due to the location. I like the Lonely Planet’s attempt at describing the surf here: This is a hard-working port town with ‘Hawaii-sized waves’. I think we’ll take Miramar Surf Camp’s word for it instead. El Transito: 30 mins south of Punta Miramar, El Transito is another small fising village. Suited all year round it’s often working when other breaks aren’t. Come November to February (dry season) it also delivers fun sized waves making it more suitable for beginners. With 3 different breaks along the beach and 2 more further along the coast, there’s something for all.